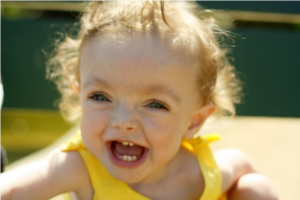 Although she was born eleven weeks premature and had a difficult start in life, Maddie never failed to bring love and joy to those around her. She is missed. When we read about Maddie and her family, we were profoundly touched. We reached out to her family to see if we could help raise money. Her parents--Heather and Mike--designed Maddie's Monster in Maddie's memory. 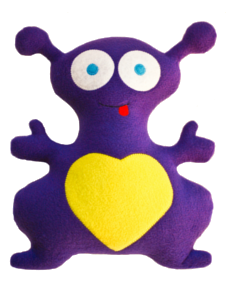 Profits from the sale of Maddie's Monster are donated to the Friends of Maddie Charity in Maddie's memory. the Friends of Maddie Charity in Maddie's memory. "This blue monster is so cute! My niece loves it. It is her new favorite and it goes everywhere with her. Thanks so much for the this cute and quality made product." "Sarah received her tooth pillow today -yippeee!!! Boy, was she excited!!!! Thanks for the super-fast order and adorable tooth pillow!!!! You are AWESOME!!!" "Was looking for a unique gift for my 6 yo stepson. He loves Build-A-Bear and I thought he'd enjoy creating his own monster online.... and HE LOVED IT!!!! The anticipation of waiting for it in the mail was so much fun for him."